Thomas & Mercer, 9781477849361, 592pp. The drums of war beat amid global economic ruin. The skies, not the trenches, will decide the survivors. Rich men marshal their resources as all sides race to acquire 100-octane aviation gasoline, an unproven, unstable witches' brew that could fuel the fastest attack aircraft. In a brutal maze of corporate treason, personal blackmail, and imperfect heroism, a young, brilliant petroleum engineer battling the Dust Bowl in Oklahoma may hold the key. Eight years ago in Jerusalem, schoolgirl Saba Hassouneh survived the murder of her family. Sentenced to the barbaric refugee camps, Saba is freed by a legendary Bedouin freedom-fighter. She embraces his life of a bandit/rebel, evolving into a fearsome Arab nationalist femme de guerre hunted by the colonial powers and religious mullahs. Saba has one mission: free her people. 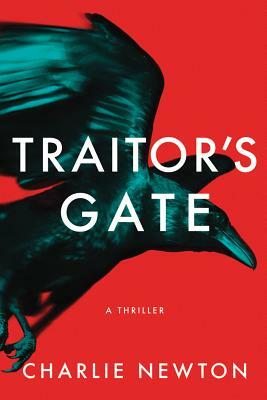 An epic historical thriller from acclaimed author Charlie Newton, Traitor's Gate races toward the first shot of WWII. As the world's true rulers vie for dominion, two unlikely lovers collide. Their attraction is immediate, their goals opposite.